HomeSamut SongkhramBoat Riding and Mangrove Planting at Klong Klone Mangrove Forest! If you are into ecotourism, I would like to recommend you to join this trip! You will enjoy the natural side of life on boat rides, do some mangrove planting, and feeding monkeys! Let's enjoy the natural experience right here! The trip starts when we arrive at the Klong Klone Mangrove Forest Conservation Center. Here, you will learn about mangroves and the ecotourism program provided by the community. 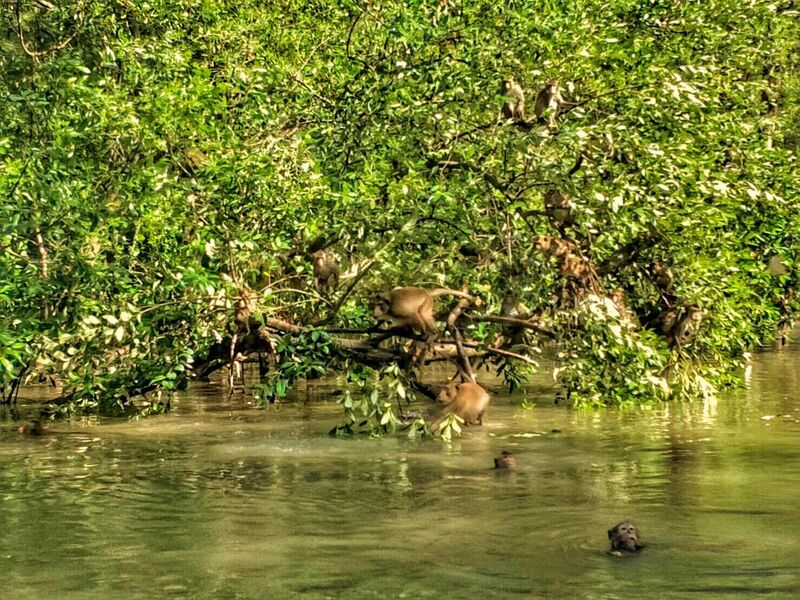 Depart by boat from the Center to see the mangrove ecosystem and feed monkeys! The boat trip will pass the mussel and clam farm, and mangrove forests! Experience mangrove forest life closely right here! Head back to the land, and then take a bath! Time to enjoy some lunch! Return safely to your hotel. The trip ends here! Thank you for joining me, and I hope you enjoyed it! If you are eco-tourism interesting activities for environment.For examples view species of birds, including monkeys, fisherman and experience life closely.Don't miss it! Bring extra clothes because the activity will make your clothes dirty.Sun Block is a must.If you are allergic to seafood.Please let us know.